29 EPS + 29 Jpeg превью | 54,6 мб. Maneuver HTML was created with an idea of an ultimate presentation of art and projects. This template is designed to become a wonderful frame for all your works and provide the best presentation for them. 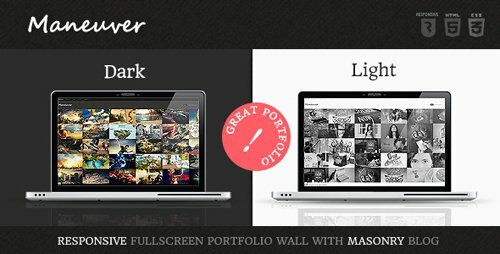 The classy and polished look of adaptive portfolio blog page and masonry blog, explicit elegance of design, available in dark and light color solutions, powerful functionality – all this helps Maneuver become your key tactic move towards success. 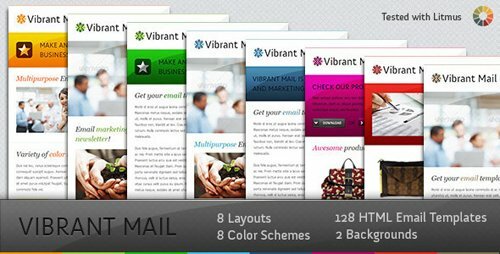 A top notch 25$ value Isotope plugin for Blog and Portfolio lets your blog and portfolio pages have an ultimate look on all kinds of devices. 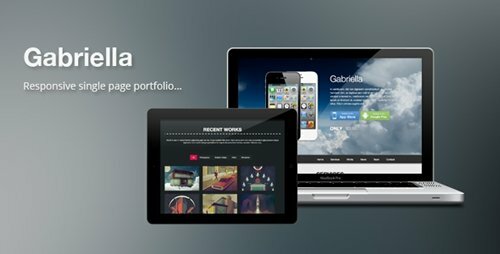 "Gabriella" is a clean and responsive template that brings you all the things you need to have a great portfolio in just one page. The design is completely clean, and great for those who loves the minimal designs. Also it’s responsive, Feel free to testing it on any device. 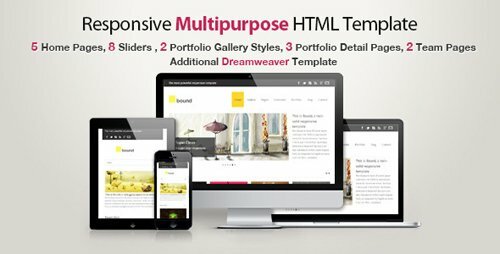 Bound is a multi-purpose responsive html template with a neat and clean interface, perfect for businesses and professionals who want to showcase their portfolio/work. The template is flexible, easily customizable and well documented. Additionally, Bound comes with Dreamweaver web template file. Dreamweaver templates can easily be edited and customized with Macromedia Dreamweaver. With Dreamweaver template file, you can edit your constant sections on all pages in on file. 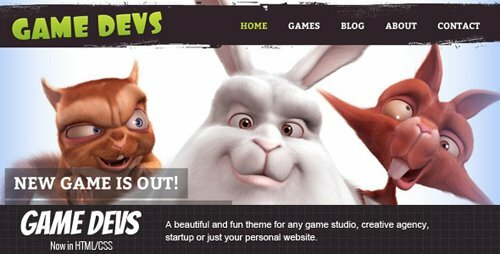 For example, you need to change menu and footer content, simply open the Dreamweaver template file and make your changes it will be reflected on all HTML pages automatically. But if you dont have Dreamweaver then the plain HTML files are also packaged for your convenience.